1. Sherlock Holmes. Basil Rathbone and Nigel Bruce first appeared as Holmes & Watson in the 20th Century-Fox "A" productions of The Hound of the Baskervilles and The Adventures of Sherlock Holmes (both 1939). Three years years later, Universal launched a low-budget series of twelve Holmes films, set in contemporary London, with the same stars. Despite a handful of lackluster entries (e.g., Pursuit to Algiers), the overall quality is above-average, with the standouts being the clever, atmospheric Scarlet Claw (1944) and 1945's compelling The House of Fear. Fans are also fond of the train-set Terror By Night and the creepy Pearl of Death. Few directors got more out of a low production budget than Roy William Neill. Toler (far right) as Charlie Chan. 2. Charlie Chan. Earl Derr Bigger's Chinese-American detective has been portrayed by several actors, but the most notable ones are Warner Oland and Sidney Toler. Both actors had long runs as Chan, with Oland making 15 films and Toler headlining 22. All of Oland films and Toler's first 11 were produced by 20th Century-Fox. When the studio decided to end the series, Toler boughts the film rights and the new (less costly) Chan mysteries were released by Monogram. The Chan films are admittedly inconsistent, with the comic relief provided by Charlie's No. 1 or No. 2 sons sometimes overpowering the mystery plots. 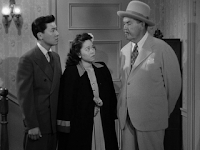 Still, the series produced its share of snappy little gems like Charlie Chan at the Opera and Castle in the Desert. Plus, Oland and Toler were both delightful, especially when delivering wise sayings like: "Small things sometimes tell large story." 3. The Falcon. Gay Lawrence, better known as The Falcon, was a gentleman detective in the same vein as The Saint. In fact, just to make matters confusing, George Sanders portrayed both characters in 1941. Sanders' Falcon films are modestly entertaining, with the most famous being The Falcon Takes Over, which is based on the Philip Marlowe novel Farewell, My Lovely. By 1942, Sanders was ready for bigger screen roles--though RKO wanted to keep The Falcon series going. 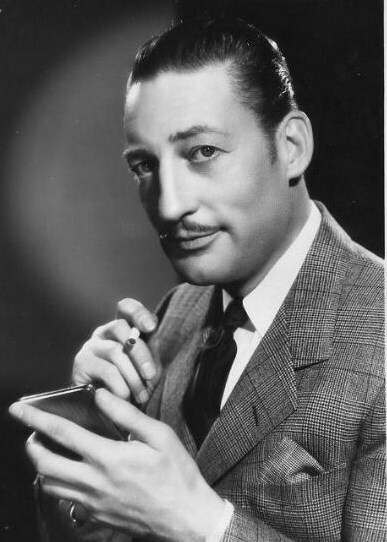 So, in The Falcon's Brother, Gay Lawrence is killed and his brother Tom Lawrence takes over--the nifty part is that Tom Lawrence was played by Tom Conway, George Sanders' real-life brother. I've always liked Conway, a solid performer who got stuck in "B" films. He elevates most of his Falcon movies, though (again) sometimes the comic relief is overpowering. That's not the case with The Falcon and the Co-eds. Ignore the lame title--it's one of the finest "B" mysteries ever with a great coastal setting, a sharp plot, and comic relief provided delightfully by three young girls from a boarding school. 4. The Crime Doctor. 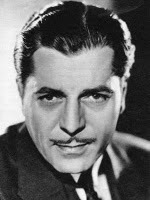 Warner Baxter was one of the biggest stars of the late 1920s and 1930, winning an Oscar for In Old Arizona and headlining classics such as 42nd Street. Yet, by 1943, he was relegated to "B" films like the Crime Doctor series. Based on a hit radio show, 1943's Crime Doctor was about an amnesia victim who becomes a leading criminal psychologist--only to recover his memory and learn that he was a criminal. It's outlandish, but Baxter makes it work and he's solid throughout the series. Most of the entries are quite satisfying, with the best being The Millerson Case. It has Dr. Ordway vacationing in the Blue Ridge Mountains when a typhoid epidemic causes the town to be quarantined...and then a murder is committed. 5. The Lone Wolf. Louis Joseph Vance introduced Michael Lanyard--a jewel thief who became a private detective--to readers in 1914. Vance's book provided popular material for the movies and there were several Lone Wolf films between 1917 and 1939, including The Lone Wolf Returns with Melvyn Douglas in the title role. In the late 1930s, Columbia Pictures launched a "B" detective series with The Lone Wolf Spy Hunt, starring Warren William as Lanyard. Like Baxter, Williams was on the downside of a very successful screen career. He brought class and charm to the role, with very able assistance from the always amusing Eric Blore as his valet, beginning with the second entry, The Lone Wolf Strikes. Honorable Mentions: Peter Lorre as Mr. Moto and Chester Morris as Boston Blackie. Great selection here. 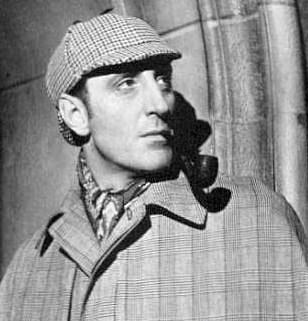 Rathbone is my own personal favorite Holmes and like the Chan films and the Falcon series are a lot of fun. Rathbone and Bruce make a great team. I also enjoy the Boston Blackie series. Morris is perfect for the role and Mr. Moto is a fun series too. Your other two selections, while I have heard of them, have yet to be seen. If there is one subject that I might remotely be considered to be slightly goofy on, it is Charlie Chan. He is my household god. My fondness for the B movie detective is like my love for my children, unquestioning and all encompassing. From Moto to Mike Shayne, from Sherlock Holmes to Bulldog Drummond, they're all aces in my book. It was a pleasure to read your knowledgeable and affectionate look at some of the best movie crimefighters. I think I really like the two 1939 Sherlock Holmes that are set in the 1800s best. The contemporary ones were okay, just sort of dull sometimes. I really liked the first Crime Doctor but once we figured out he had been a criminal and was pardoned, the others were too exciting to me. Rick, a great idea for a post and a very entertaining one. (Did the upcoming Guilty Pleasures blogathon at CMBA put you in mind of this?) I don't think anyone would disagree with your choice of Basil Rathbone's Sherlock Holmes as #1, although the series owes its success nearly as much to Nigel Bruce's delighfully bumbling Dr. Watson as to Rathbone's erudite and eccentric Holmes. The others were good choices too, although I might have substituted Peter Lorre's Mr. Moto for the Crime Doctor series. Someone mentioned Boston Blackie. That was another detective series with a former big star from the early 30s, Chester Morris, finding a less stellar home in 40s B-movies. Lloyd Nolan's Mike Shane was another good one that had at least one episode adapted from a Raymond Chandler mystery. For me one of the best things about these series is their use of second-string character actors. Ward Bond, for example, made a very interesting Moose Malloy in the Falcon episode you mention. Such a great post and great selections. The Universal Holmes films should also be classed not just as great mysteries but as great noirs: in spite of the low budgets, the production values were superb, with astute direction and stunning cinematography. My own faves are The Scarlet Claw and Sherlock Holmes Faces Death: the giant chess game is quite ingenious. Unfortunately, I haven't seen the other series, except for the great and wonderful Charlie Chan and marvelous Mr Moto (any others on DVD?). However, I would like to mention one of my own favorite series, the 1930s Bulldog Drummond, with John Howard and E.E. Clive - not only good mystery thrillers but also laugh-out-loud funny. Clive's playing as trusty right-hand man Tenny is brilliant! Rick, I really enjoyed your post on B-movie detectives. "The Scarlet Claw" is one of my favorite Holmes entries. While the Charlie Chan entries can venture into silliness, I must admit that I love the fortune-cookie wisdoms that Chan shares and his observations about his children as number one son, etc. "The Falcon and the Co-eds" boasts a fabulous setting and clever cast. Tom Conway is quite good and I really like his voice, too. The one series that I missed from this list is Philo Vance. I loved the books and thought "The Dragon Murder Case" translated well to screen. You have done an entertaining job, again. But that is elementary, my dear Watson! I also liked George Sanders as The Saint. Lloyd Nolan as Michael Shayne was good too. Also liked Bulldog Drummond with John Howard. While I LOVE Charlie Chan, same as Caftan Woman, I never cottoned to Mr. Moto. Perfecto! Your list encompasses my favorites. If it could have been the Best 6, I would have included boris Karloff as the Chinese detective Mr. Wong. I've always thought of that character as the least stereotypical of the oriental movie characters -- played with dignity, always treated as an equal by the police and feared as a great detective by the bad guys. I've said it before, and I'll say it again -- I love this 5 Best series! Sorry this is so late, Rick! This is a magnificent list with detectives I know and one or two with whom I may not be familiar. I also like Mike Shanye, mentioned in a few comments above. I've read a lot of the Brett Halliday books, so it's quite fun to watch the movies, especially since the short, dark-haired Lloyd Nolan doesn't look a thing like the Mike Shanye of the novels, a lanky redheaded Irishman. Well written and fun to read Best 5! Great choices but I think I would have to include Bonita Granville as Nancy Drew. Some great comments and worthy additions. The one I struggled most with was Philo Vance. There are three or four strong Philo Vance films, with the best being THE DRAGON MURDER CASE (which Toto mentioned...yes, it's better than the more famous KENNEL MURDER CASE). However, there are also some weak Vance movies; in the end, I decided the consistency wasn't the equal of other series. And, yes, Michael Shayne, Bulldog Drummond, Mr. Wong, and Nancy Drew are all fine "B" movie detectives! Rick, I'm glad I finally caught up with you and the gang here about your 5 favorite "B" movie detectives! I was especially pleased to see THE CRIME DOCTOR among your favorites, as I've been a fan since I saw THE CRIME DOCTOR'S STRANGEST CASE. That dream sequence is surprisingly intense, with imagery of silhouetted girls plummeting off cliffs and hanging from nooses; it's almost like a welcome bit of comic relief when a sinister male silhouette holding a suitcase labeled "POISON" shows up! THE FALCON is another favorite of mine; I first got hooked on it with THE FALCON TAKES OVER, being a fan of Raymond Chandler's FAREWELL MY LOVELY, on which it's based! 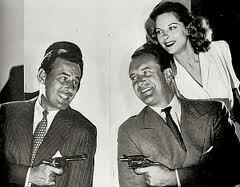 :-) I knew Tom Conway and George Sanders were brothers, so I especially liked your photo showing both of them! I was impressed to read that Sidney Toler bought the film right when Fox decided to nix the series; kudos to Toler for being so enterprising! Great blog post, Rick!